I must say that the arctic winter blast has somewhat curtail my movements. So far, I have missed the New York Ceramics Fair held January 22-26 and the Metro Show January 23-26. The Metro Show was touted as 37 galleries and 37 points of view, covering the historic to the contemporary. With my new interest in a wide range of cultural art works, I was especially interested in the Metro Show. And well this week, it was just too cold. But not quite complaining. Attending live gallery events, lectures and seminars widens my perspectives on the growing contemporary art world. So I often look forward to these opportunities to learn. The arctic blast has meant that I find my self catching up on the news – domestic and foreign. And although, this process can be very disturbing, I was inspired by a feature on Canadian Painter Fre’de’ric Bilodeau, 28, with cerebral palsy. 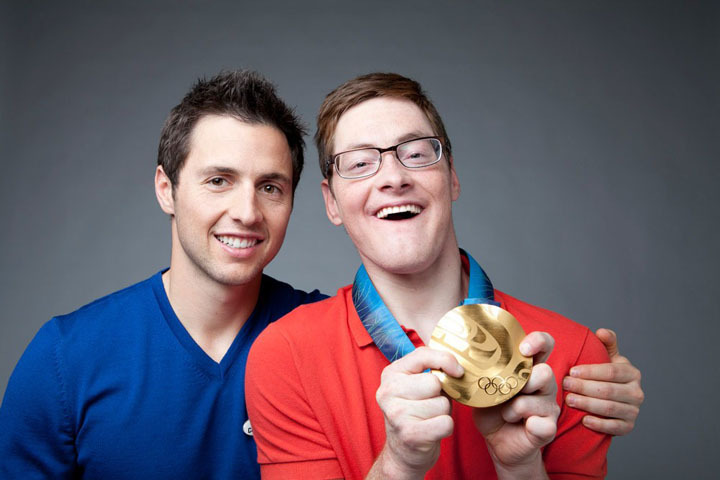 Fre’de’ric ‘s brother Alexandre, 26, a gold medal skier, was inspired by his elder brother to achieve his olympic success. I have thought much about Fre’de’ric since I have seen the piece. The questions ranging from, how long it takes him to finish one oil painting and how does he handle those frustrating moments trying to complete his piece. As we all are face with trying to succeed. He was told that cerebral palsy will make him stop walking at age 12, but at 28, he still walks a bit, but uses a wheelchair a lot more. His determination is a source for inspiration. Proceeds from his paintings are funnel toward fighting the disease. This is why I love the arts, because there is that creative spirit and zeal in all of us, that if we let it out, it will soar. As it has allow Fre’de’ric to do. “Blues People,” published in 1963, critically looked at the African-American Blues movement. I say movement, because it was the music used to speak and shape the lives of its originators. Today, every time I listen to the Blues, it always takes me deep into the emotions of the stories being told. Sometimes easy to listen to, but often the lyrics are hard and difficult to swallow. The 50 years since this book, African-American music has gone through a renaissance of sort. The lonely ballads of the Blues are now, Rhythm and Blues and Rap is all the rage. An off shoot of the Blues, Jazz, continues to strive through Wynton Marsalis and other Big Band musicians. The music has lived on and continues to diversify. And has they say, the story rolls on. And I continue to observe the transformation of the Blues. Art is everywhere and in especially places where you think not to look or consider, for that matter. Case in point. Now and through February at the Brooklyn Public Library central branch, there is a photo exhibit that includes the library’s common areas. Most times we go into the library and other places and rush through. Our environment, a second thought. Often too busy to observe what is around us. The photo exhibit by Elizabeth Felicella, Brooklyn Public Library’s first artist-in-residence, is asking us to notice our surroundings. On 4×5 inch film inkjet print or digitally captured prints and through archival photos we get a look into the library’s surroundings. Stairs, the lobby, reading rooms, photos and maps of the present and the pass from the library’s Brooklyn collection. “…It cast an eye on Central Library’s tumultuous past as well as its exciting future,” says Felicella. Around 18 pictures are mounted in the lobby gallery and more in the Foyer Cases and the Balcony Cases on the second floor. The exhibit educates passersby and encourage them to stop, look and observe what they have just moved across. The stairs they climb, the catalog they may flip through, or the lobby they have walked across. The lessons to be learnt from this exhibit are, take advantage of those moments around to learn. That is, we can take time to inquire about the origins and reasons behind otherwise, everyday displays. Remember the things that surround you, helps to shape you. And like the Caribbean community loves to note, the twin island republic of Trinidad and Tobago (T&T) is the high point of them all. Not that the other island states do not put on a performance, it is just that T&T takes it to another level. The country literally comes to a halt for the final days of carnival. Carnival activities begins this month in T&T and ends with the road march on March 3rd and 4th. And as the season heats up, awards and honors for musicians that makes the season so special becomes the rage. Apart from the Soca and Calypso Monarch titles, those legends from the past are honored. This carnival season Lord Nelson born Robert Nelson will be awarded, for his decades of contribution to Calypso. Calypso, West Indian music (made popular by T&T) are songs in syncopated African rhythm expressing topical issues or themes. The singers even make the songs hilarious. Caribbean politicians sometimes bear the brunt of their humor. I met Lord Nelson at JFK International Airport recently on his way to Tobago with T&T national carrier Caribbean Airlines. Lord Nelson told me that he still performs and the music he recorded decades ago are now being discovered. This, he told me was due to the fact that the singles released from some albums got more play than the other songs on the album – not released as singles. Now Lord Nelson is being discovered by a new generation of Calypso lovers. He made popular “La La” and “King Liar,” Caribbean favorites. Lord Nelson moved to the United States in 1972 and continued his music career, and at 82 he still has the fire in him for the art. This legend has sung with equals like Mighty Sparrow (born Slinger Francisco), recovering in a Queens rehabilitation center after health troubles and Lord Kitchener (Aldwyn Roberts), now deceased. A close friend of Sparrow, he told me the calypsonian crooner was doing much better. And off goes the race to March, the road march that is. Your eyes have greeted the year, bless you. For some it means anxious anxiety, pulsating fear and uncertainty and yet for others it is time for a rocking good time. I am praying for peace, joy and fulfilment. A new year, a chance for a new beginning and our expectations are high, as they should be. I look forward to visiting and writing on some very interesting arts and culture events and landscapes. Like the 19th Century independent African-American village of Weeksville. This village which consist of hour houses dating back to 1840-1883 gives a look at American history during that bygone era. And leaves lessons which are still to be learnt. For this new year we must ask provocative questions that will be the basis for debates. Brooklyn is a growing contemporary arts venue and a rival to Manhattan for the more intimate art space. I wonder why though, in answer, that’s another story of economic proportions. Certainly I look forward to venturing outside of Brooklyn and even abroad, to highlight culture and art that will educate and inspire. So let the journey begin. Here is to all the beautiful things the year will offer.